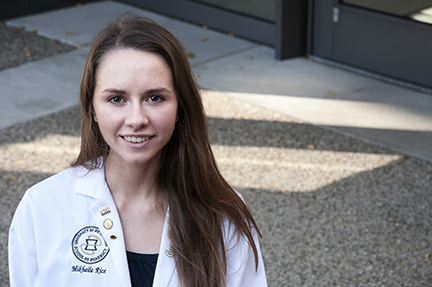 PharmD student Mikhaila Rice (Class of 2019) was appointed to serve on the American College of Clinical Pharmacy (ACCP) National Student Network Advisory Committee as a Member-at-Large. The National Student Network Advisory Committee is composed of leaders appointed each year by the ACCP President-Elect. Members of the committee have an integral role in the development of new programs and services for student members of ACCP.